Chelsea’s worst league defeat for 1070 games, a level of ignominy not suffered by the Blues in the last 28 years. 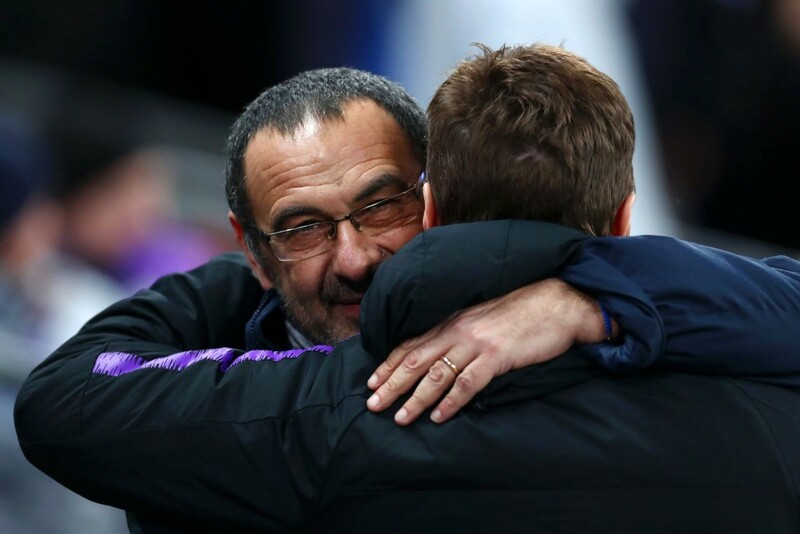 “If [Roman] Abramovich calls me I will be happy,” Maurizio Sarri told Sky Italia after the defeat. Should Roman get in touch in the next few days, we’d like to see him keep his finger off the trigger. Here’s why. Chelsea have never been revered. They have never been celebrated for their style of play, for their endeavour, for anything more than their success and functionality. And rightly so. 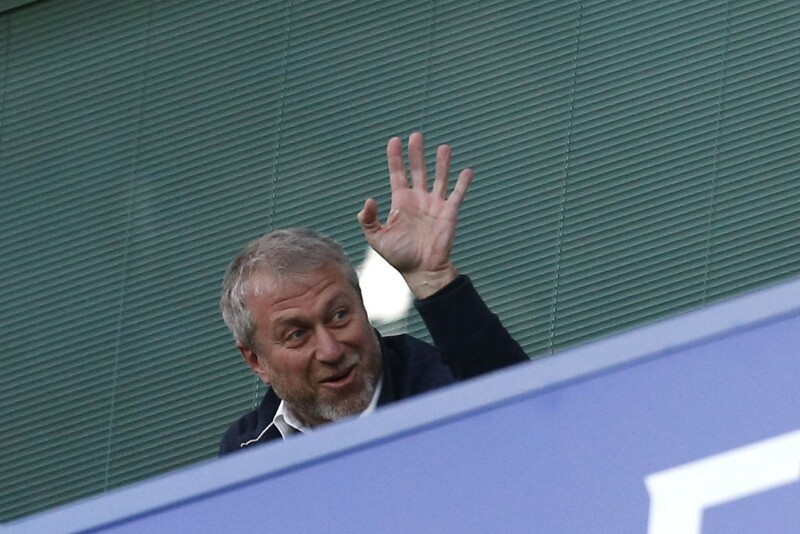 It’s clear, though, that Roman Abramovich is a little irritated by that. The Chelsea owner adored Pep Guardiola’s Barcelona and tried to lure the now-Manchester City boss to Stamford Bridge. He appointed André Villas-Boas, only to sack him without understanding the squad wasn’t capable of expansive football. And now, after two years with Antonio Conte, he’s moved on to Sarri. From Italy’s chief pragmatist to the least Catenaccio-style coach Italy has produced in a generation. Patience is needed for change. If Chelsea don’t realise that now, they never will. Chelsea have just two points fewer than Pep Guardiola’s City at the same stage of his first season. “People don’t understand how difficult it is,” Guardiola told reporters after Sunday’s game. “I said many times, my first year was difficult too. Some moments we played good but not consistently. Unfortunately for Chelsea, the trend at the moment is a bad one. After a strong start to the campaign, things have started to spiral. But what do you expect when the club runs the transfer policies without Sarri having a significant say? Without taking the manager’s style into account? Chelsea finished fifth last season, it’s not like they’ve collapsed under Sarri. Should he change his approach? Well, that’s what people said about Guardiola as well. He’s doing alright after ignoring them. If Sarri didn’t play his way at Napoli, Chelsea wouldn’t have hired him. Abandoning that now would be absurd. They’ve had 13 managers in 16 seasons since Abramovich took over and the scorched-earth policy must end eventually. If the style is ever going to improve, patience is required. If success is ever to be sustained, trust is needed. Chelsea won trophies during the early years but they were also the biggest spenders in England. That’s no longer the case. And now, they have long-term rivals laying the foundations for long-term success. Guardiola, Klopp, and Pochettino are building something special. But Chelsea? The cycle of boom and bust from the last 15 years cannot go on. The booms are becoming smaller, the busts increasingly destructive. After finishing in the top two in seven of their first eight seasons under Abramovich (and third in the other campaign), the Blues have ended up in 5th, 10th, and 6th in the last seven years. A decline punctuated by trophies will only become worse the longer Chelsea continue to blow things up before starting all over again. Ross Barkley. Álvaro Morata and Olivier Giroud. Danny Drinkwater! Gary Cahill. And, on this season’s form, Marcos Alonso. 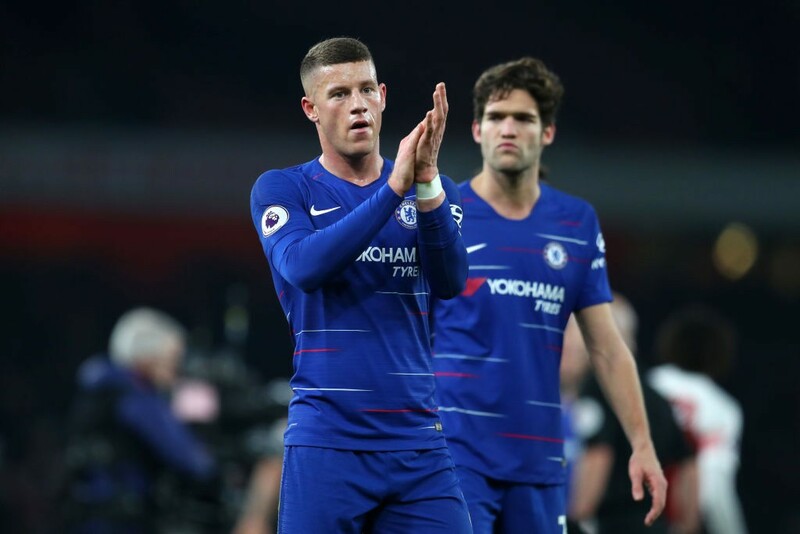 Not only is the squad subpar, it’s not suited to Sarri. It’s clear he won’t change his style, a style which has seen him rise from amateur football to the Italian leagues to the Champions League. It’s hard to blame him. As for N’Golo Kanté, that’s a tricky one. On the one hand, he’s incredible. On the other, he doesn’t have a natural spot in Sarri’s system. Should the coach adapt his ideas for one player? 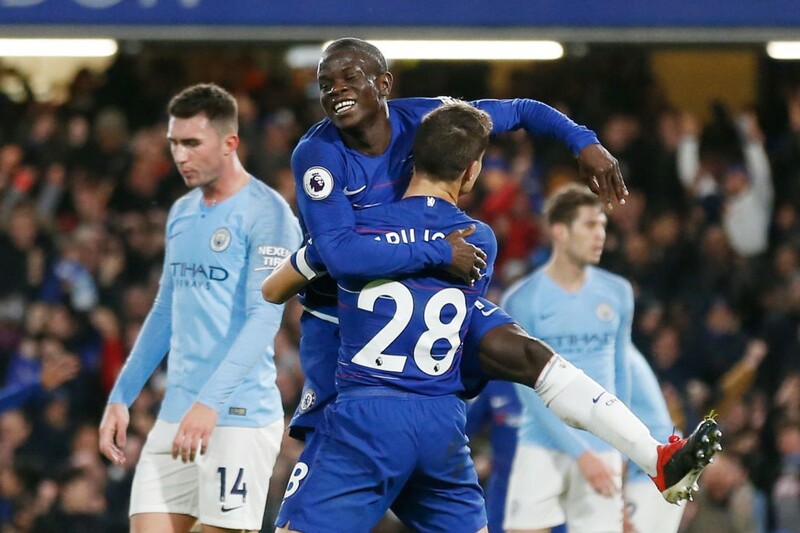 And Kanté has still had his most productive season ever going forward – you could even argue Sarri has helped him add something to his game. On top of all that, Chelsea’s 29 goals conceded in 26 is hardly worse than last season. And 10 of those goals have come in the last two away games. So maybe the manager can be forgiven for sticking with the Frenchman in a more advanced role. Chelsea need to back Sarri in the summer with players who are talented and intelligent and humble enough to listen and play his way. If things still aren’t better this time next year, after that, then it’s time to pull the trigger. This argument is a non-starter. Nobody in their right mind is doubting Mauricio Pochettino’s abilities. Like Sarri, he’s never won a trophy. Like Sarri at Napoli, he’s leading a club to almost unprecedented heights. The Italian may not have medals around his neck but his Napoli side racked up the seventh highest points tally in Serie A history last season. They would have won the league in 84 of 90 top flight seasons in Italy. Either way, Chelsea are in the League Cup final in a few weeks. 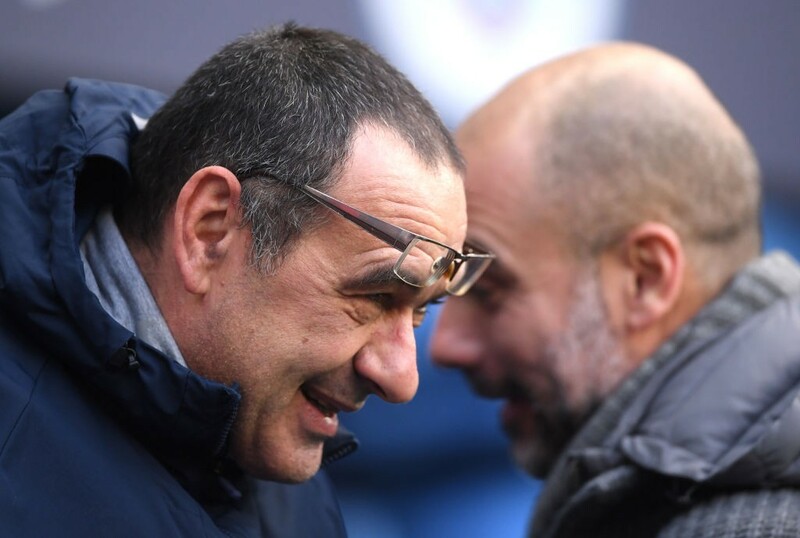 Against Manchester City, yes, but Sarri could respond to Sunday’s defeat and get his hands on some silverware before the month is over. 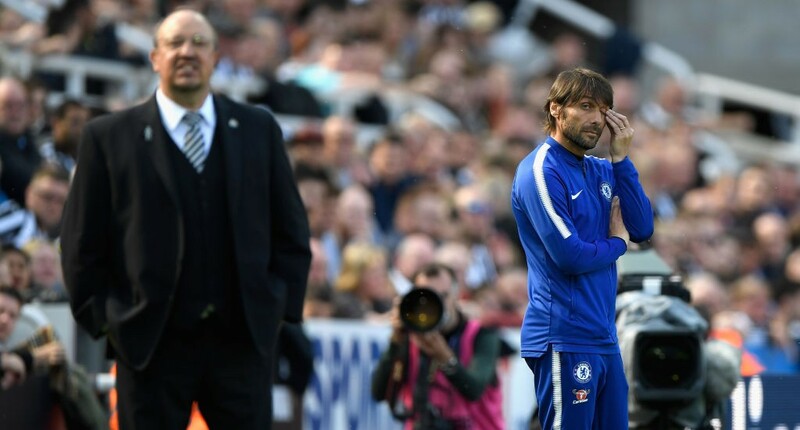 Sacking him now would be pointless and sacking him before next season would sink Chelsea deeper into a seemingly-endless downward spiral.